The BBC has said it is dealing with a “spike” in complaints of sexual harassment. The deputy director general told MPs there had been a recent increase in the number of cases after the BBC encouraged staff to come forward. Anne Bulford said the corporation is currently investigating 25 individuals for alleged sexual harassment. Last year only three cases were investigated, with just one case in each of the two years before that. In a statement, the BBC said: “Since the Harvey Weinstein revelations, we’ve been actively encouraging staff to come forward with any concerns. Anne Bulford told the House of Commons Digital, Culture, Media and Sport Select Committee that the BBC is looking into “25 live cases”. However, not all are thought to relate to current staff. 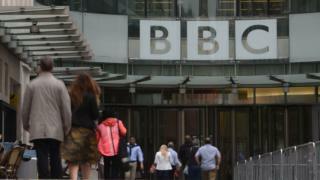 A number of the allegations are believed to be historic, involving people who have worked for the BBC or for third parties associated with the BBC in the past. Ms Bulford also confirmed that issues raised by staff working with independent production companies and third party suppliers would be supported by the BBC’s confidential helpline, which was set up in the wake of the Jimmy Savile scandal.